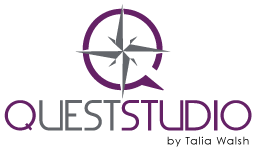 At Quest we believe educating our youth in proper exercise and nutrition is vital to their health and safety as they grow. We offer multiple programs for students, student athletes, and teams (elementary through college) to provide coaching and education that can be implemented throughout the year. Our services include: Yoga for Athletes, Nutrition for Athletes, Corrective Exercise Testing, Custom Injury Prevention Programs, Myofacial Release Workshops, weekly Kids Fitness Classes, and custom workshops and seminars for teams. Watch this to learn one example of how our Yoga for Athletes program has helped our local Valley View Cougars team succeed while staying safe! Contact us to work with your athlete or team today!